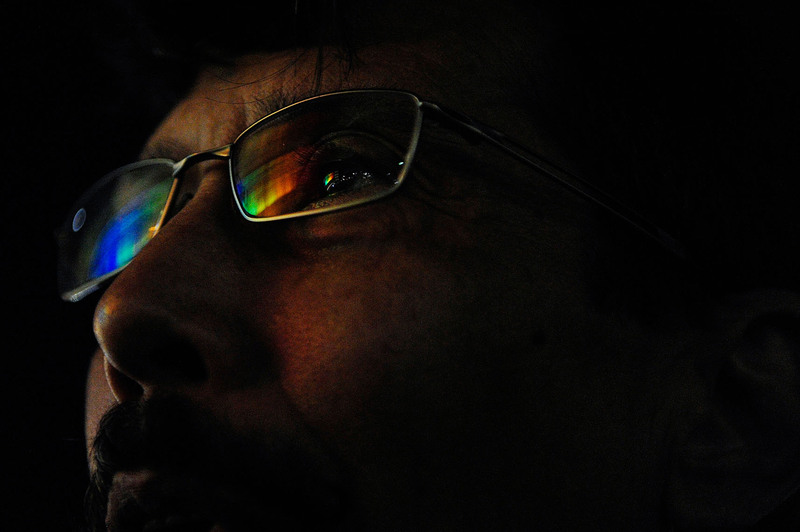 Miguel De Jesus, 55, of Orlando has rainbow lights reflected in his glasses at a memorial at the Dr. Phillips Center for the Performing Arts Thursday, June 16, 2016 in Orlando. "My first thought was my God they're young," De Jesus said. "They're young, young people." De Jesus, openly gay since 18 years old emigrated from Puerto Rico and has been a union stage hand in the arts for over 25 years.